Home » Health & Wellness » Preventative Care » Do We Really Need Seasonal Vaccines? Q: If I haven’t gotten the flu vaccine, isn’t it too late? A: In Maryland, the flu season extends from December to May, so it is still important to get the vaccine. The flu can be very severe with symptoms that include headache, body ache, fever up to 105 degrees, coughing and sore throat. It can be extremely serious in the very young and very old. To lessen your chance of getting the flu, the Centers for Disease Control suggests that all patients over six months of age get the vaccine. Q: Can’t the vaccine actually give you the flu? A: No. Less than 1% if people getting the vaccine will have “flu-like” symptoms from it. If you’ve ever had an anaphylactic reaction to chicken eggs or prior flu vaccines, or have moderate or severe illness with a fever over 102 degrees, then the vaccine isn’t recommended. But most people tolerate it very well. Q: Are there other vaccines you suggest at this time of year? A: Yes, for adults over age 50, I recommend they consider the shingles vaccine. Also, if you’re over 65, are a smoker, or suffer from adult asthma or heart/lung disease, I suggest a pneumonia vaccine. Q: Why a shingles vaccine? A: Shingles is a very painful skin rash caused by the varicella zoster virus. This is the same virus that causes chicken pox; it can lie dormant in our bodies and reappear at times of stress or when our immune system is weakened. The vaccine is available for those over 50 and recommended strongly for those over 60. It reduces the risk of getting shingles by 51% and shows a 66% decrease in pain following an infection. As always, talk to your personal doctor about these vaccinations. 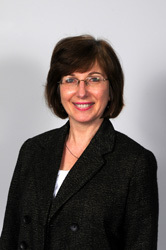 Dr. Janice Rutkowski is a board certified Internal Medicine specialist and MPCP partner. She received her medical degree from the University of Limoges and completed her residency program in Internal Medicine at Maryland General Hospital in 1984.